The weekend following our anniversary was also the end of school assessment for the girl, so I immediately reserved our overnight accommodations last Friday. The youngsters were overly excited for the getaway, as expected, but spirits were dampened with the threat of super typhoon Ruby. We all prayed hard for good weather and thankfully, God heard our plea. Still, we're saddened that some parts of the country were badly hit by the storm. After I told them we'll be pushing through with our trip, I reminded the kids of our past Nuvali experience when we went to the park four years ago (featured here), and a few more times thereafter since I have a cousin who lives nearby. They fondly remember the koi pond and the water taxi and got more excited. Will tell you more in part two of my feature. 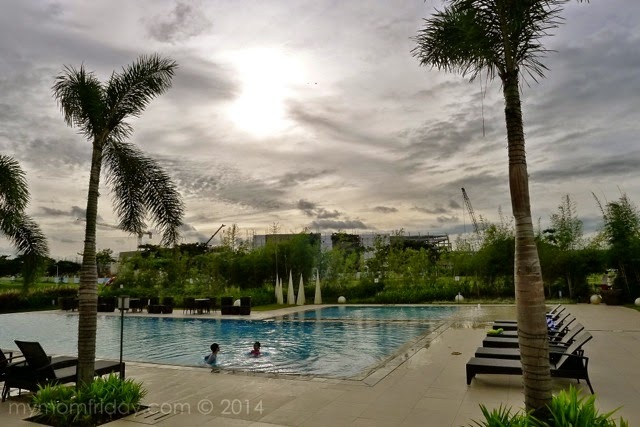 As I always do with my family travel features, with too much pictures to share, here's a photo essay of our delightful staycation in Seda Nuvali. "SEDA NUVALI forms an integral part of the NUVALI eco-city development which is envisioned to be the growth center of the CALABARZON area. 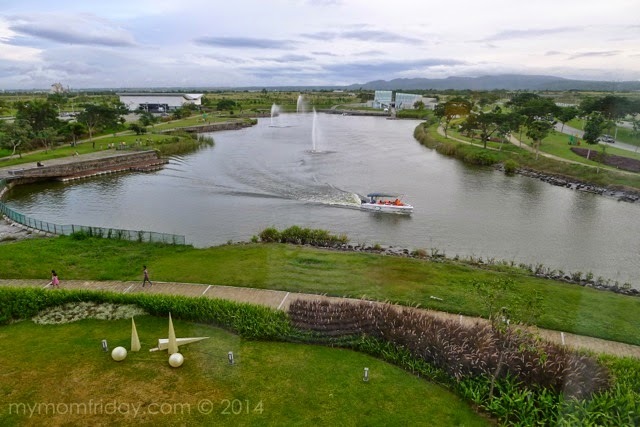 Nuvali is masterplanned to be an environmentally, economically, and socially sustainable city. We arrived at noon on December 5 after a 90-minute drive from our home in San Juan. It was drizzling and windy, but skies cleared quickly after lunch. As we entered the lobby, you'll immediately see the understated and contemporary elegance of their interiors and architectural design. Their modern aesthetics and resort-like ambiance are complemented by beautiful pieces of notable Filipino artisans and lensmen, from Kenneth Cobonpue and Ann Pamintuan, to commissioned works by Paco Guerrero and Jaime Zobel de Ayala. 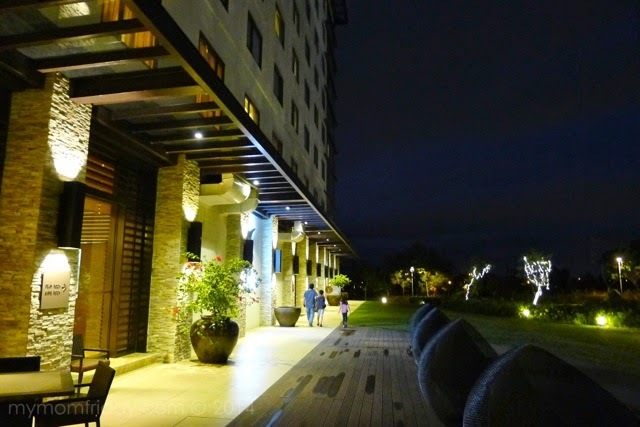 Seda Nuvali is a welcome addition to the growing Nuvali community. 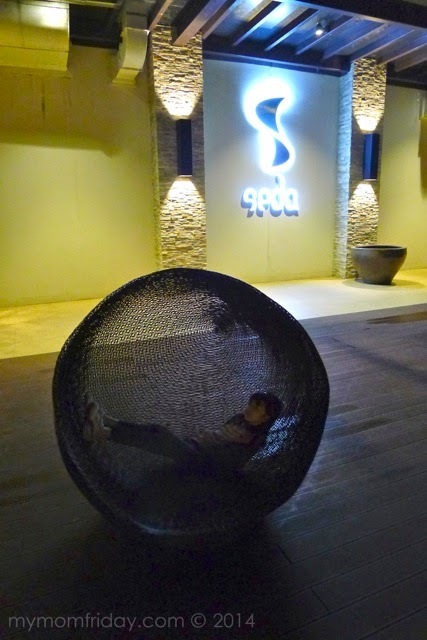 As a lifestyle hotel, Seda caters to both business groups and families. They were catering to several business functions and were booked by a wedding entourage while we were there. 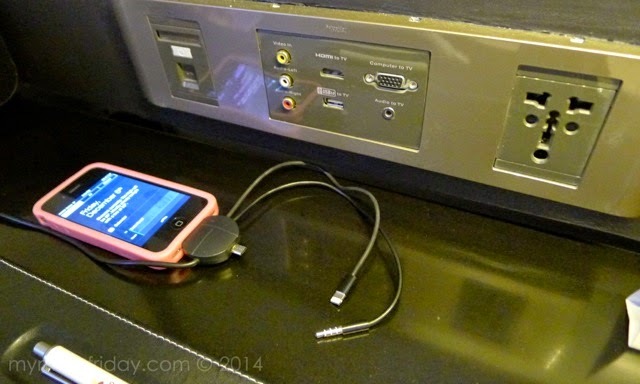 The lobby is not as expansive as other hotels, but they have an e-lounge by the reception area. They have Mac computers free for guests to use, with high-speed internet service to boot. Sosyal, I'm impressed! 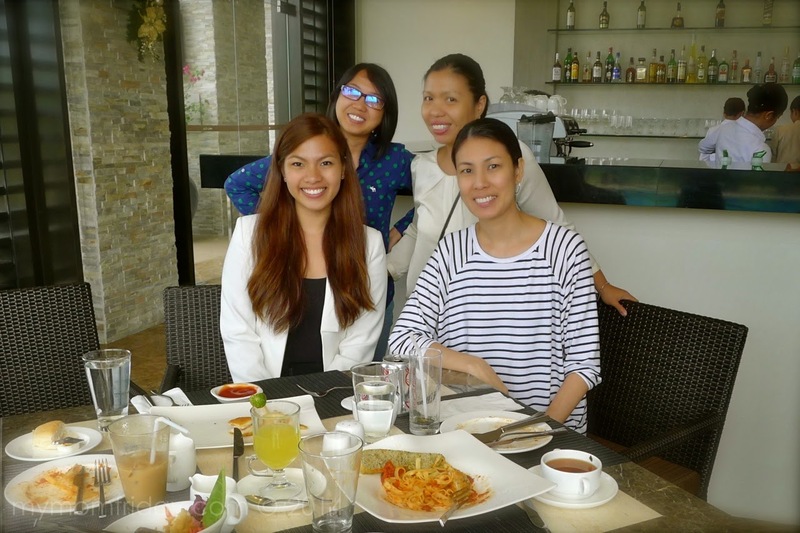 Since we opted for early check-in, we were ushered in to their restaurant, Misto, for a sumptuous welcome lunch of Japanese dishes. My family loves Japanese food, so lunch was thoroughly enjoyed by all. 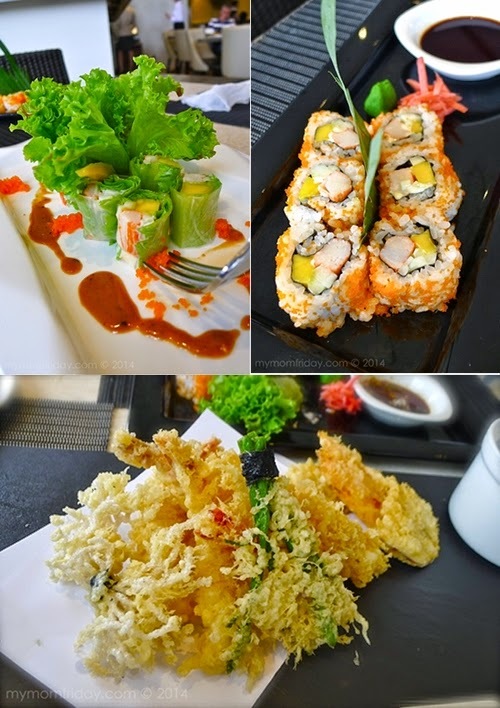 We had California Maki and Kani Salad Roll for starters. The girl and I devoured the salad roll. She wiped out all the fish roe and kani since those are her favorite parts. The boy's favorite is Chicken Teriyaki. We didn't know what they will serve so he was happy when the chicken came out. 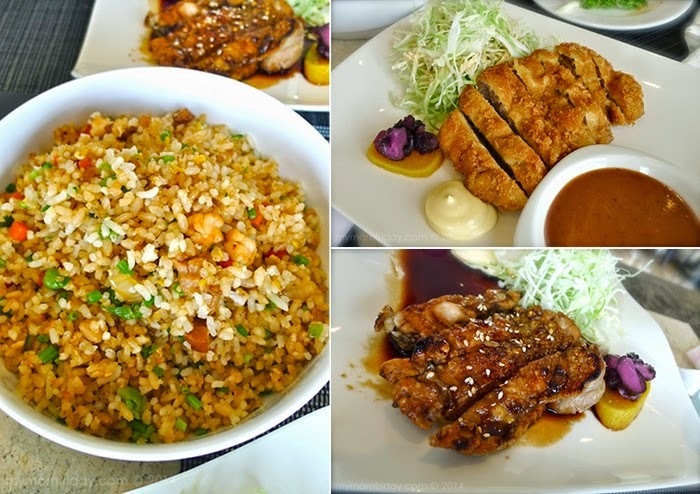 We also had crispy Ebi Tempura, Tonkatsu (fried breaded pork), and a bowl of savory Japanese Fried Rice which rounded up our hearty meal that afternoon. When dining at Misto, you'll have a full view of the infinity pool. 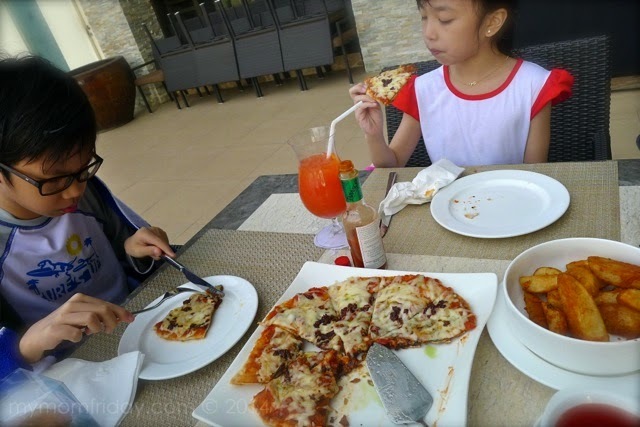 You can imagine how restless the kids were during lunch --they can't wait to dive in even if it was drizzling. J and the kids went up to the room ahead of me so they can rest their tummies before swimming. I had an extended chat with the welcome committee -- agency reps and Seda Nuvali's communications officer, Denise Magtoto, over ice cream. General manager Jeffrey Enriquez also took time to warmly welcome us at the hotel. 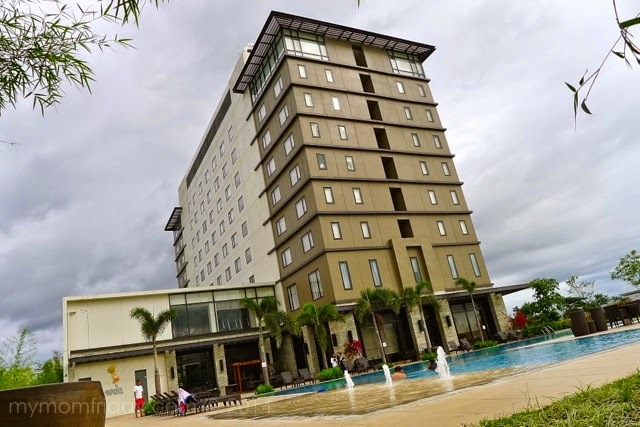 "Seda Nuvali offers 150 guest rooms with a fantastic view of the lake, and designed to fit the varying needs of clients -- from international business travelers to incentive groups and local residents on a weekend getaway." In the 9-storey hotel, guests can choose to stay in a Deluxe, Premier, or Club Room. 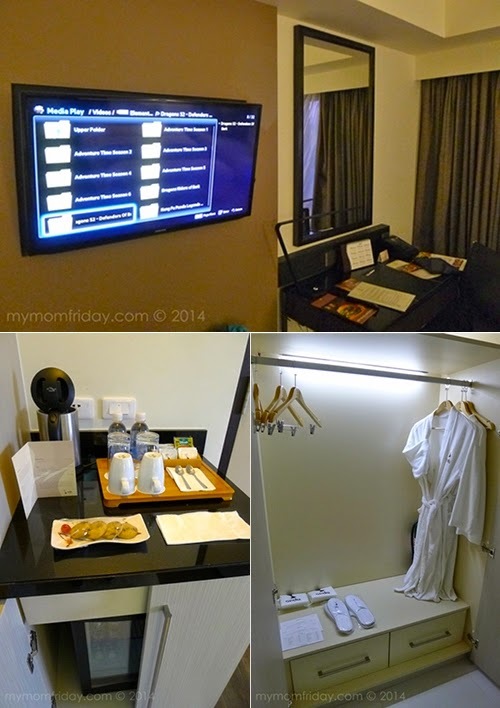 Upon confirming our preferred dates, I was pleasantly surprised that we were assigned two rooms -- a Premier and a Deluxe! This cozy, well-appointed 37-sqm. room features a king-size bed with fine beddings, a chaise lounge, with all basic amenities, and more! I wouldn't consider it a suite, though it's very spacious for a couple's room. At last, a luxe room all to ourselves! We only booked adjoining rooms a couple of times in the past. Usually, we just get an extra bed and the kids sleep with us when we stay in hotels. 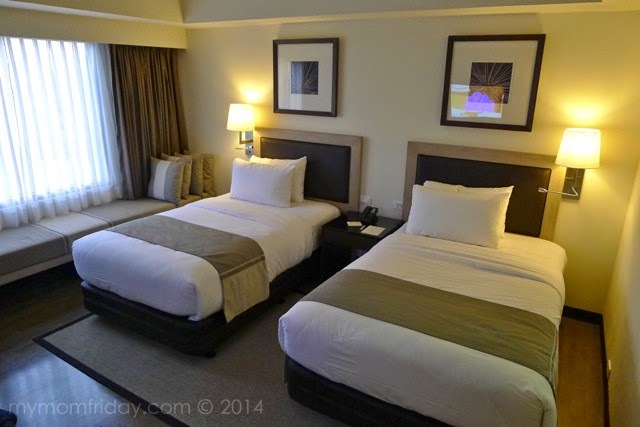 This Premier room can still be comfortable for a family of 3, but can feel cramped with two bigger kids. Complimentary Wi-Fi and broadband internet access - super fast, we love it! 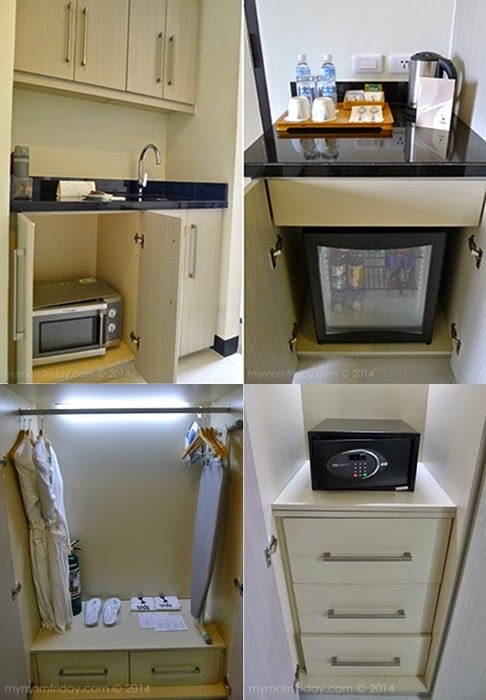 Microwave oven and kitchenette -- going the extra mile with these added facilities for guests! 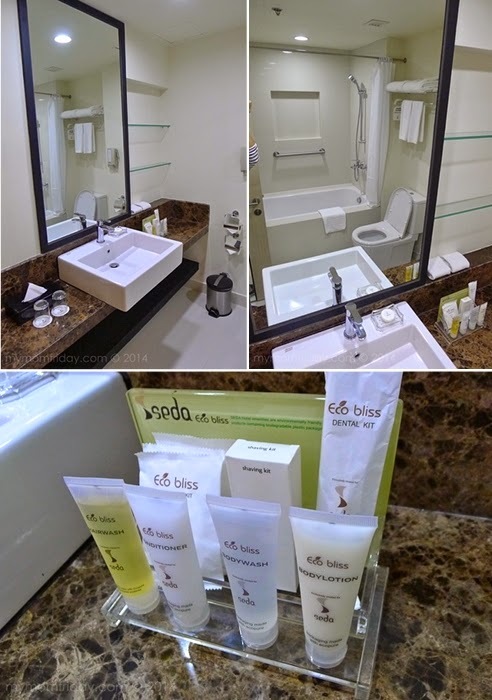 Their bathroom is also fitted with modern fixtures, a digital weighing scale, a bath tub, and Eco Bliss complete set of toiletries -- another environment-conscious feature that uses paper and biodegradable plastic packaging. I hope they add a hand towel ring or rail near the washbasin. Our room is connected to a Deluxe room so it's very ideal for my family -- having two kids that are already big enough to sleep on their own. I did not get the chance to peek in a Club Room and was too late to go up the 9th floor to visit the Club Lounge. Guests in a Premier Room also have access to exclusive privileges at the Club Lounge, including: Continental breakfast, afternoon tea and cocktails, all-day coffee, tea and non-alcoholic beverages, iMac stations, reading materials, and secretarial assistance. The adjoining room is 30 sqm. with twin beds. As I've mentioned, this is perfect for my not-so-little kids who can hog the king bed when I share it with them during hotel stays. The Deluxe has the same amenities as the Premier, but without the extras like iron and ironing board, kitchenette and microwave, no bathtub, no access to Club Lounge. 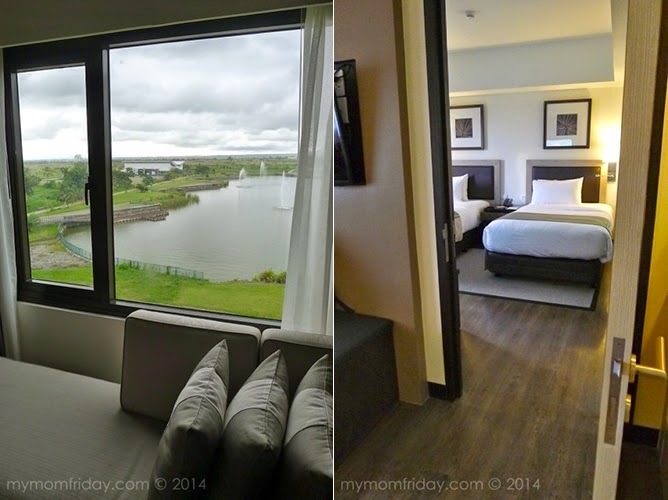 Both rooms have this unobstructed view of the lake. 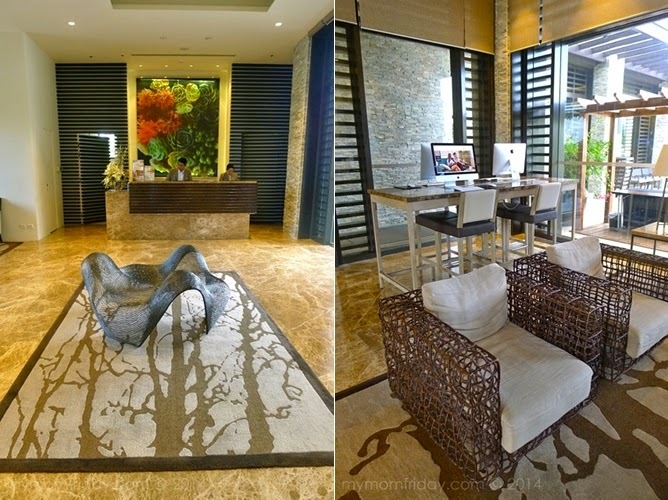 Seda Nuvali was especially designed to integrate elements of nature and complement the environment. They are now working towards a silver certification from LEED (Leadership in Energy and Environmental Design). Our hotel stays will not be complete without swimming. 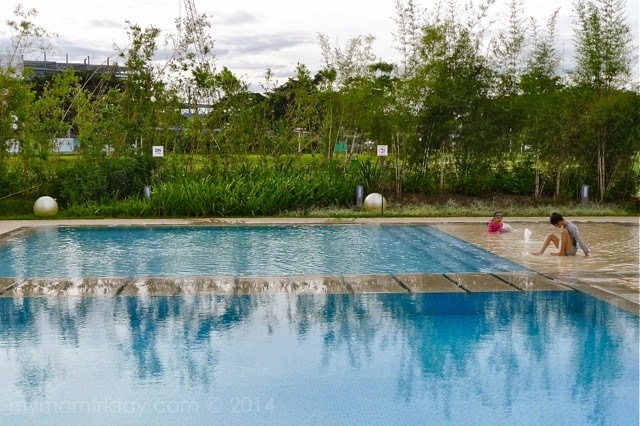 Seda Nuvali has a very inviting infinity pool (4 feet) and a kiddie pool that's 2 feet deep, with a wading area that has water fountains. As expected, the kids went crazy here. Good thing, only one family was swimming there with them. The pool was so tempting and I did plan to swim with them. 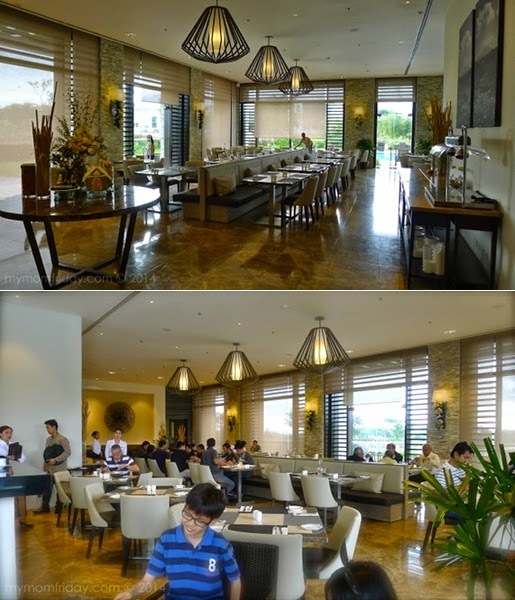 But the manang in me was too chicken to expose myself, heehee... Did I mention the pool is visible from the resto and lobby? Also, there was no perimeter wall around the pool area. Actually, there are trees and hedges surrounding the hotel but you can see vehicles passing by a few meters away. You also have to pass by the e-lounge from the pool area going to the elevator. I can't hide, hahaha! But that's just the conservative me talking. I'm sure this is no big deal for most of you. Merienda time after swimming. All I can say is... this Garlic Aioli pizza is the bomb! 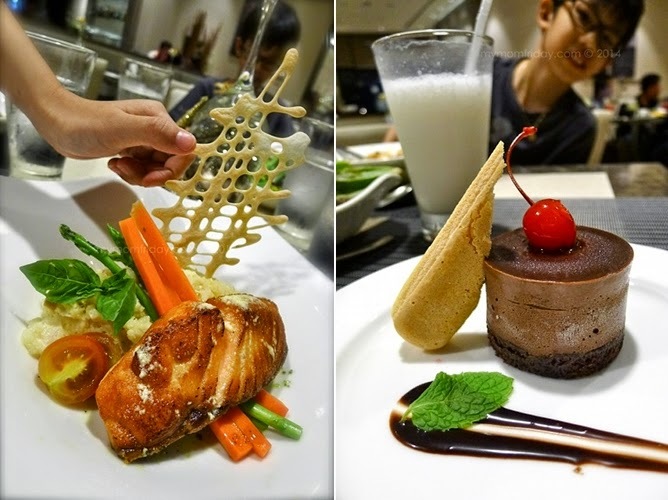 A must-order if you happen to dine at Misto. Before dinner, we decided to tour the hotel and enjoy the cool evening weather. We ended up in their colorful Children's Playroom. Little boys and girl, and dads too, will surely have a blast here. 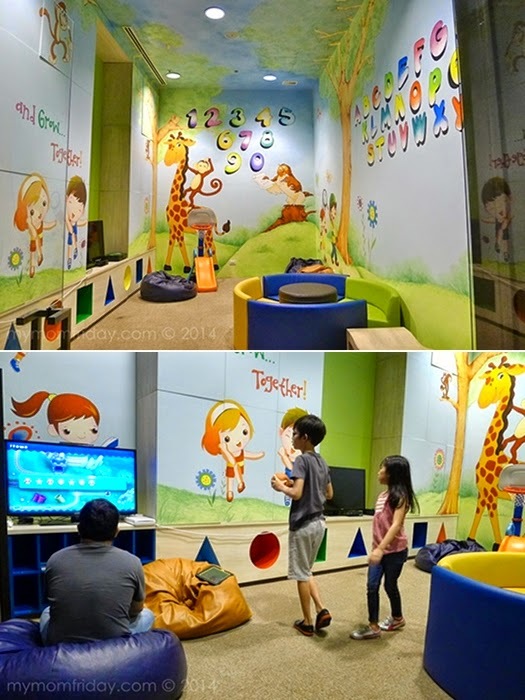 The room is carpeted, with cute wall paintings, there's a mini slide, bean bags, and Wii video games! We had an amazing first day. 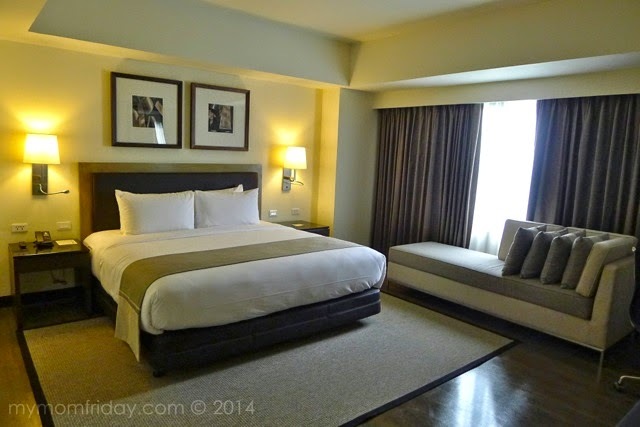 The rooms were perfect and service was very good from friendly and able hotel staff. That evening, the chef has prepared a special 4-course meal for us! Sayang yung main course with the kids so I just requested spaghetti bolognese for them. 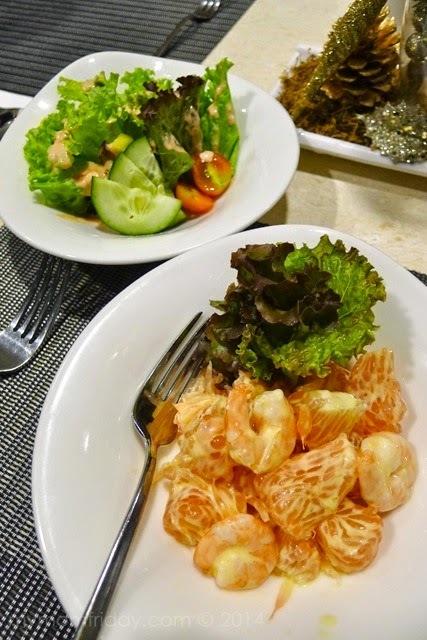 We had two kinds of salads - mesclun salad with mango kaffir vinaigrette, and shrimp and pomelo in a creamy dressing. 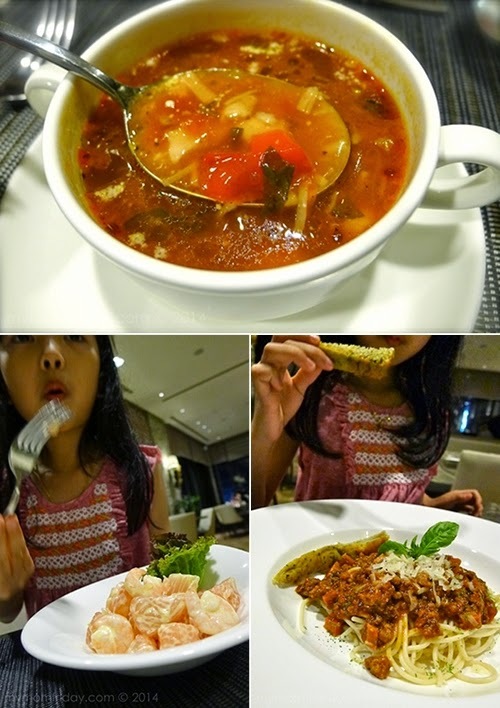 I wiped out my juicy shrimp and pomelo (the girl got a few shrimps too), followed by this chunky Seafood Minestrone. You can really see and bite into the scallops, shrimps, squid and veggies in a wonderful harmony of flavors. One good soup! My tummy was already very happy with just these starters. Main course was this plank salmon with buttered vegetables and shrimp risotto. J and I indulged in the tender and flaky fillet. The risotto was kinda dry and pastey though. Our sweet ending was a perfect serving of this dense chocolate mousse, almost frozen and decadent. A wonderful dinner to cap a fun-filled day. Our rooms await. To be continued next week. 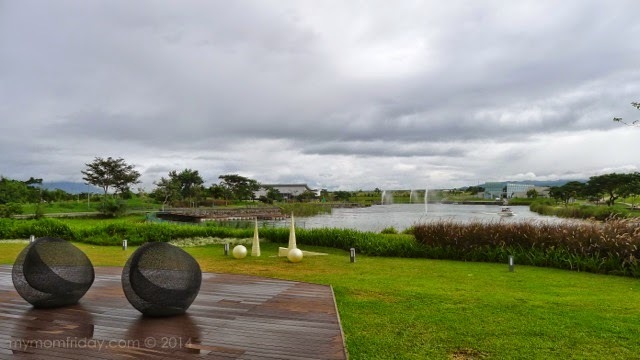 Watch out for day two of our Seda Nuvali weekend getaway! 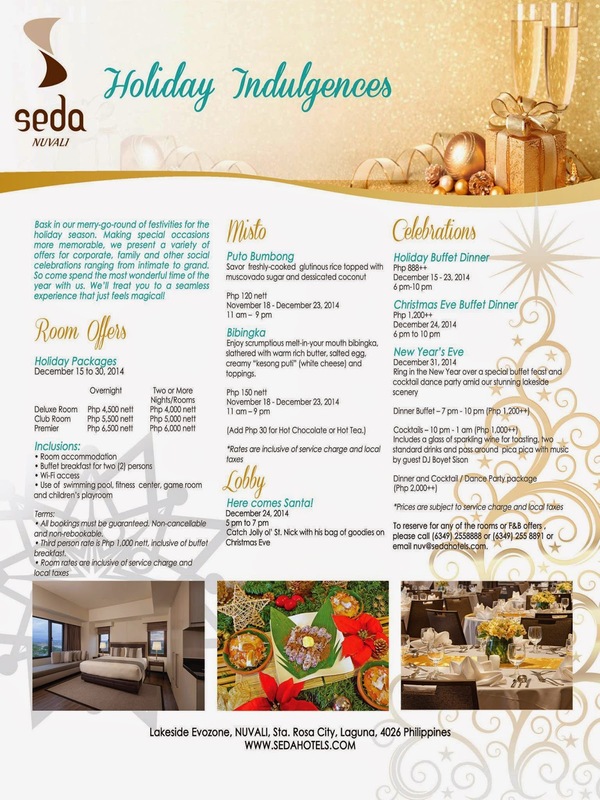 Book a night or two at Seda Nuvali with their holiday promos!! !